80% of website traffic is coming from smartphones or tablets and that number is expected to rise. oogle already gives ranking preference to mobile-compatible websites. Fitting on the screen and looking pretty isn't the only key factor when making responsive websites. Ensuring the navigation buttons and menu are large and touch-friendly are just as important. Ensuring your tablet and smartphone visitors have a pleasant experience and can access your information easily is just as important as the look and feel of your website. 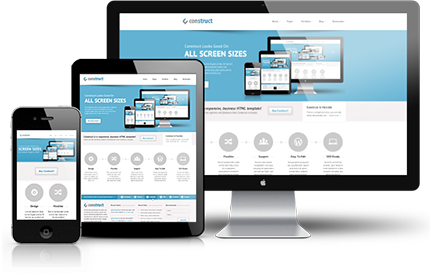 We build responsive sites with an easy navigation. We are custom web application programmers! We can build any web application. We have built web applications such as accounting systems, forums, inventory systems, city portals, online shopping and many many more. We can also integrate with online payment solutions such as PayPal. We code using ColdFusion and use MSSQL as the database back-end. We chose these platforms because of the security, efficiency, speed and support. Adobe and Microsoft are large corporations that make excellent products.